Holly Shaw: She's Cutting Loose...Footloose, That Is. 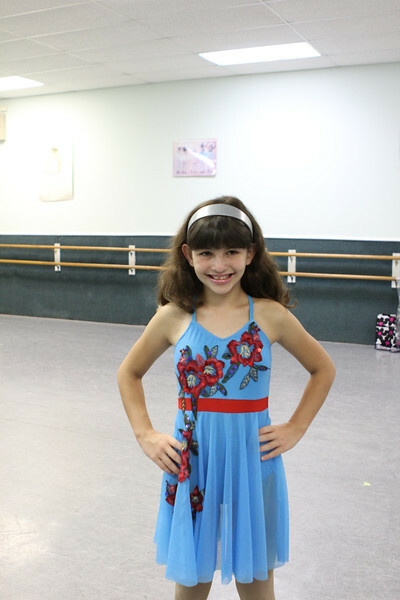 Last week Annelise had her annual dance picture day, otherwise known as one of the seven circles of you-know-what. At least that's how it's always been in the past, so I've conditioned myself to dread it and suffer through as best I can. For whatever reason this year was not too terrible. WHAT? This year there weren't as many classes jammed together waiting for their turn so it was strangely calm. Annelise actually likes all of her outfits this year (WHAT?) so that made changing and so forth much more pleasant. 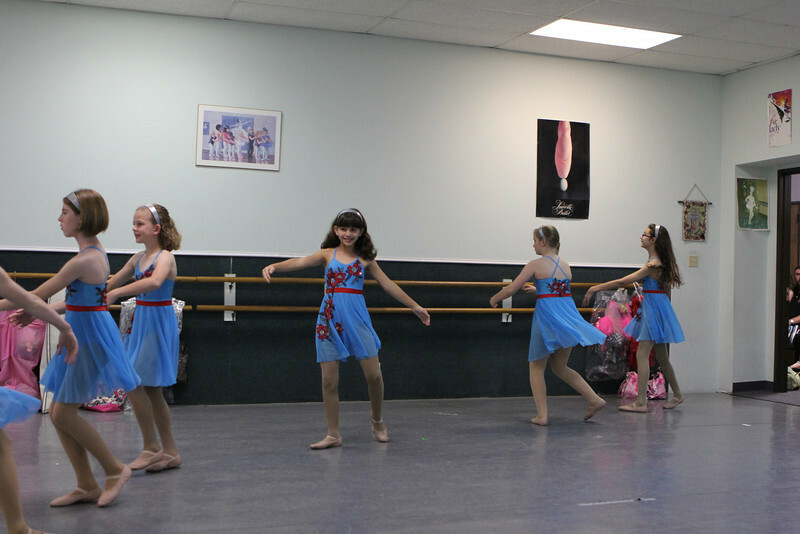 Annelise is in the back row but does get a turn up front in part of the dance, so that's good. The dance is really cute with some partner moves and fast pace. I think it's Annelise's favorite this year. 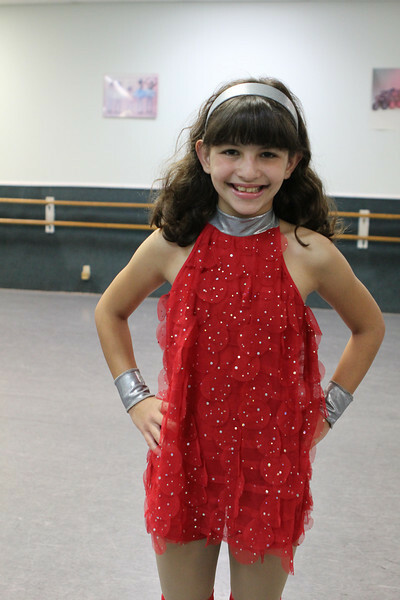 Annelise LOVES her outfit for ballet, since it's more like a grown-up dress, so that's the one we ordered for pictures. Truth: I only order one set of photos, because I'm cheap that way, and usually let her choose which one she wants her individual picture in. Unfortunately, the dress seems a little short waisted, at least to her, so she feels compelled to tug at the straps constantly. They're dancing to a song called Bed of Roses (or something like that, I didn't recognize it). Ballet has always been her least favorite style, I guess because it's slower paced and requires a modicum of grace and balance, so it can be challenging. 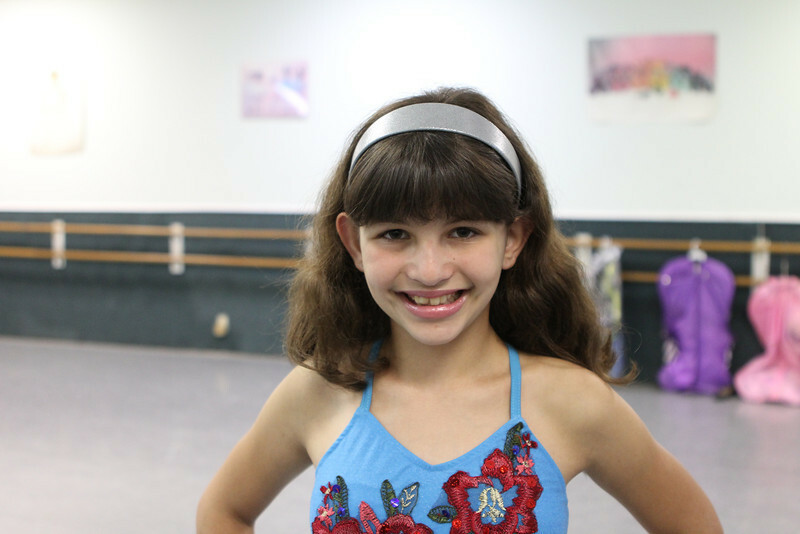 We keep telling her that athletes take ballet to balance out their skills and make them stronger in different ways. She still balks at ballet, at least a little. Her last routine this year is jazz, to We Built This City (on rock and roll), so of course she has appropriate 80s attire to go with that. It's cute with a splash of crazy. Now, I don't mean to sound like a dance mom, because I am so not, and I know that someone has to be in the back, it just seems that every year in jazz Annelise gets stuck in the back corner AND never gets at least a brief turn up front (sometimes they swap lines from front to back, which is, you know, FAIR). 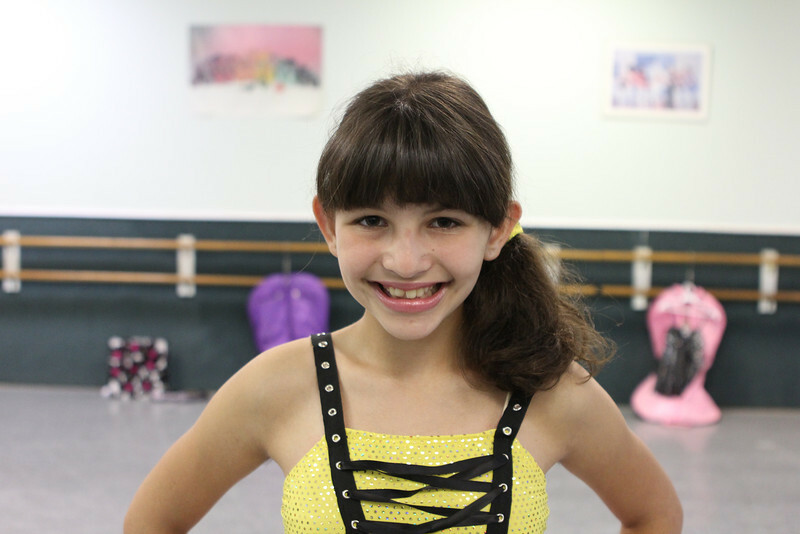 Her recital is only a few weeks away, mid-May. I'm hoping that the recital plus getting her 8 year award soon (it's a pretty big deal) will fire up her slightly simmering dance love.